If it wasn’t clear by now, I think I should confess that I’m an absolute sucker for pretty homeware! I love all things decor and Anthropologie is literally my dream home. I usually do this style of post once-twice a year, with some seasonal switch ups, so today I’m sharing some of the pieces I’ve been eyeing up to add some summer vibes to my living space. The botanical trend is huge again this season, and there’s so many gorgeous homeware pieces inspired by this. From bold banana leaf prints to bright tropical pineapples, this trend is everywhere from high street to more luxury homeware stores. 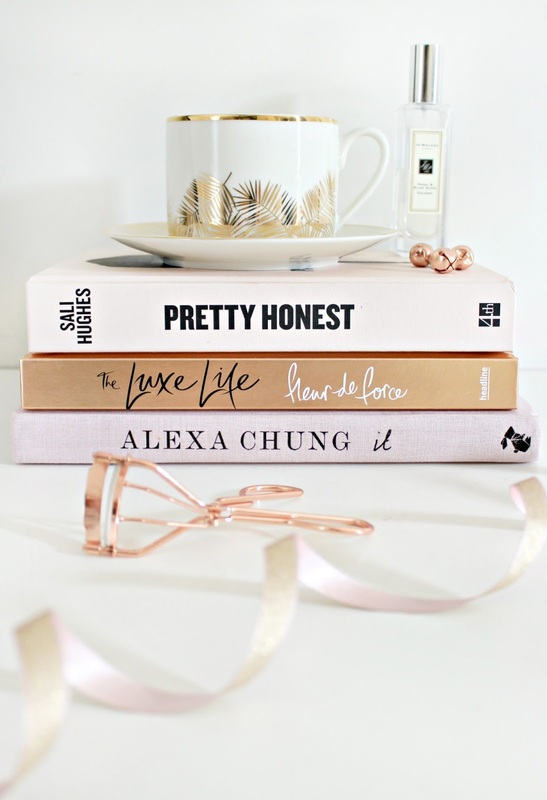 You’ve seen my beautiful gold leaf mugs featured so much on my blog, but I’m already eyeing up some more from this trend. I’ve picked out a few pieces including this stunning – yet super affordable – little vase from George at Asda, and this gorgeous monochrome illustrated mug from M&S. Metallic accents seem to be where it’s at again this season, and these beautiful rose gold measuring cups are my new favourite purchase. Mine are actually gold from Anthropologie, but this set from M&S is incredibly similar. Tom Dixon designs are known for their metallic boldness, and this beautiful copper cafetiere is no different. It would make the perfect statement kitchen counter-top piece. Speaking of statement, I’ve fallen in love with this prismatic vase from John Lewis – I can imagine it looking beautiful filled with fresh pink peonies on the windowsill. I’ve always been a huge lover of pastel pink, so when I saw this lamp in Oliver Bonas, I had to add it to my wishlist. It’s the perfect combination of metallic, marble and pastel, and it would make the perfect addition to my office desk. As I’m moving to Canada oh-so-soon, this London print from Rifle Paper Co. is something I’m definitely looking at purchasing for my new office as well. There are honestly so many beautiful things in homeware stores right now, and these are just a handful of what I’ve been eyeing up! What’s been on your wishlist lately? Previous Post The Mask That Makes Your Skin Glow. Next Post Two Treats From Oskia.